Artist Fernando Reza has released a new collection of science-fiction-themed vintage travel posters, and they are astoundingly gorgeous. 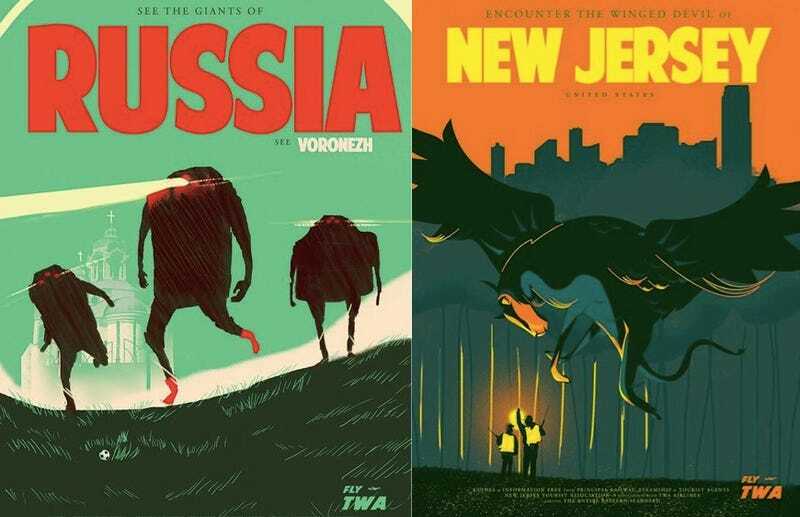 We've featured Reza's work before, and here is a new assortment of glamorous travel posters. We want them all! The travel posters (along with a ton of other gorgeous work) are available at Fernando's online shop. Thanks to Laughing Squid for pointing these out.